For faculty who require UTAs for your subject or programme, we will open applications for UTA requests in week 8 (look out for our email invite!). Alternatively you can write to us and the UTOP office will follow up with you accordingly. 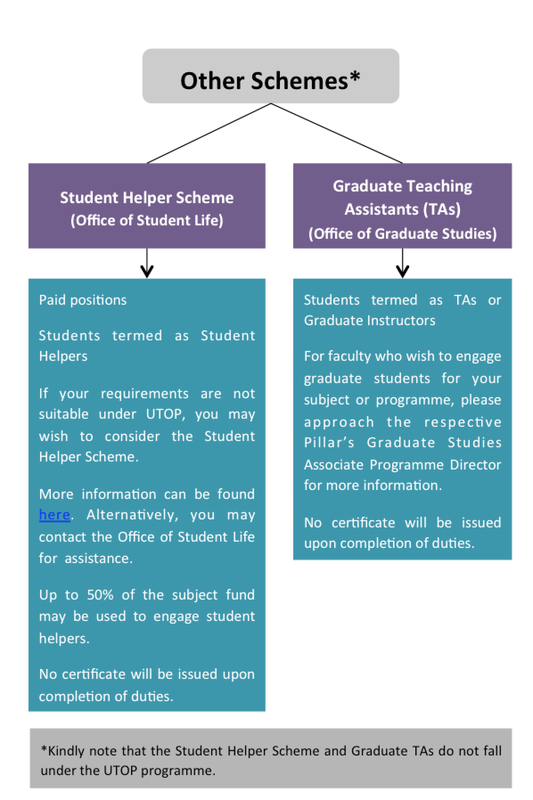 The role of a faculty/staff advisor in student-initiated activities is to support and advise students on their activity. You may simply act as a resource, moderator or to point students in the right direction whenever necessary. 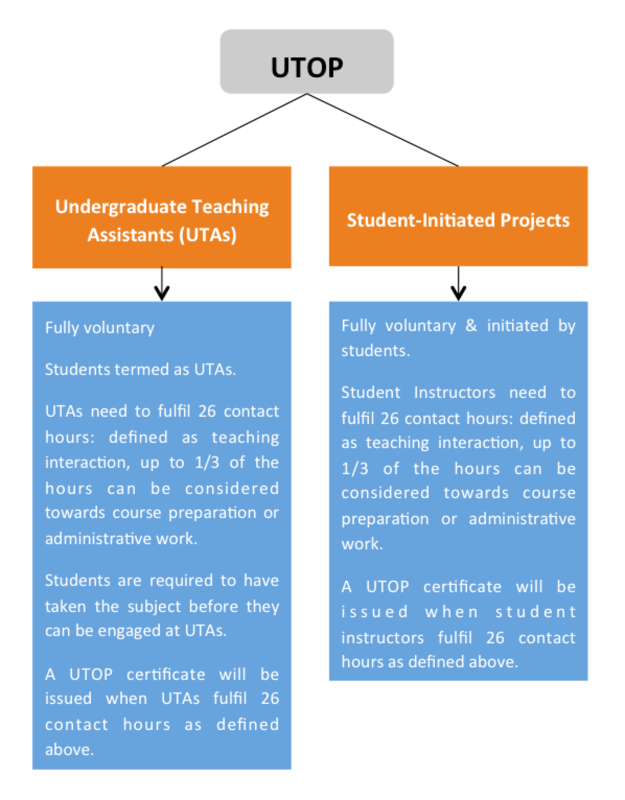 A UTOP certificate will be issued when UTAs fulfil 26 contact hours as defined above.